Is there any prerequisite for starting a sprint? 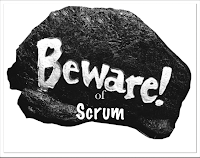 As Scrum defines, there are two critical stages in the process: READY & DONE. The Product Owner can easily double the velocity of a Scrum team by getting Product Backlog to a high READY state. Team can easily double story process efficiency by delivering as per their agreement of DONE. Individual self-organization can further enhance team velocity. Let's focus on prerequisite of starting a sprint i.e. being READY. The Backlog is READY when about 1.5-2 times Sprint's worth of User Stories at the top of the backlog is READY, and those user stories are sufficiently small to allow good team flow. Here is a visual aid for your slide deck. • It is defined as need, conversations, and confirmations [reference]. • It follows INVEST (independent, negotiable, valuable, estimable, and testable) principals [reference]. • It is small enough to fit inside a sprint. Larger stories should be reformulated and splitted before the sprint planning to be considered "Ready". 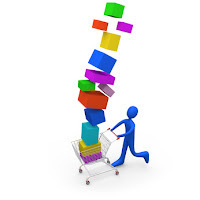 • It has unique priority in relation to every other story in the product backlog. 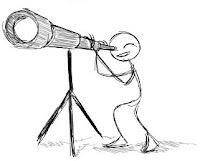 • It has been estimated (in story points) by the team. • It does not have any known dependency that can block the completion of story. Don't let anything that's not READY into your Sprint, and let nothing escape that's not DONE. 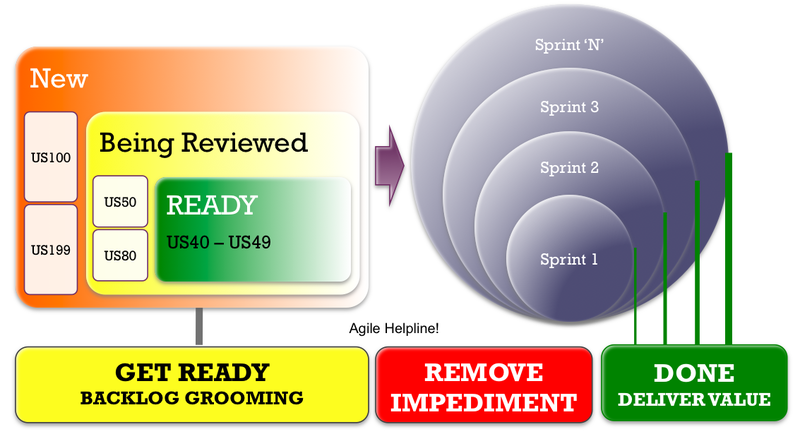 Also, don't forget to check more Agile Helpline Rules of Thumb here.